Ted Howze has always wanted to be a high school football coach. 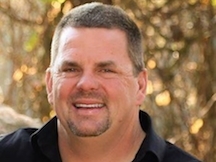 It took more than three decades, but that dream has become a reality with the announcement that Howze will be the varsity football coach at Denair High School. Howze, 47, brings a non-traditional background to his new position. Though he hasn’t worked at the high school level before, he has coached and been a board member with the Cen-Cal youth football program in Turlock for the past nine years. He is a veterinarian by training and owns a large-animal practice in Turlock. He also is a former Turlock city councilman (2006-10). While earning degrees in exercise physiology and veterinary medicine at the University of California at Davis, he took classes in football theory from Hall of Fame coach Jim Sochor, who led the Division II Aggies to 18 conference championships. Howze has a strong connection to Denair High. His three sons attend the school and his late wife, Sharon, was an assistant track coach for the Coyotes. He takes over a program that was 2-17 the past two seasons under veteran coach Rich Goodwin, who resigned in December. Howze knows he must change the culture for Denair to once again become competitive in the Southern League. Denair Principal Aaron Delworth said Howze’s vision and energy to rebuild the program appealed to the district. “We’re excited to have him join our team,” Rosander said. Excitement is exactly what Howze has planned for his offense. He intends to run a multiple formation, single-wing system featuring short passes, direct snaps and a fast pace to control the clock. He will be his own offensive coordinator. On defense, Howze intends to use multiple formations, depending upon the opponent. He emphasized the Coyotes will play “assignment-based” football to leverage their athleticism. Denair had 27 varsity players last year and Howze hopes to increase that to at least 30 this fall. He’s already talked with some of the returning juniors as well as former junior varsity athletes who didn’t play in 2013. Denair High School has about 400 students and is part of the Denair Unified School District, which also includes a middle school, an elementary campus, two charter schools and a state-sponsored preschool program. The Coyotes compete in the Southern League, whose other members are Delhi, Gustine, Le Grand, Mariposa, Orestimba, Ripon Christian and Waterford. Posted in News and tagged Denair High School, Football, Ted Howze, Varsity. Jamie Kincaid liked this on Facebook. Michael Souza liked this on Facebook. Carissa Steeley Borba liked this on Facebook. Always exciting to have new to have new leadership. We had a similar opportunity in 1962. Wish I as closer so I could help. Best of luck Coach Howze and the 2014 Denair High Coyotes.